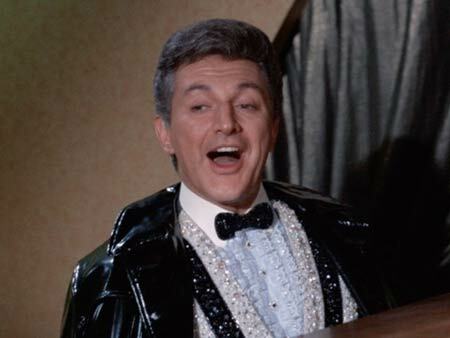 It may be tough to appreciate for us 50 years later, but having Liberace on your show was a big deal in 1966. When he appeared on Batman, it reportedly led to the show’s best ratings ever. Of interest to Tim and Paul is how the show dealt with his alleged homosexuality, writer Lorenzo Semple Jr’s references to Liberace’s real-life backstory, and what his attempts at acting remind us of. His Bat-appearance was such a big deal that the Dynamic Duo themselves were shoved aside for the first 15 minutes, leading to the funniest Gotham City Police joke ever. Also in this arc: another reference to James Cagney’s The Public Enemy, weaponized music, a current events reference, Madge Blake’s moment of badass glory, and a trifecta of SCTV references! PLUS: We pay a visit to The Marketts, look into director Larry Peerce’s back catalog, and get some Bat-mail that clears up questions about where the show got the ideas for batpoles and Cat-Bat attraction!